Very nice people, very well organized and fantastic voyages. Go!! Come watch wildlife with us! Our distinctive worldwide tours travel to destinations unique for abundant and photogenic mammals, birds and nature. All our trips emphasize maximum time in the field, action-packed wildlife photography, knowledgeable and enthusiastic leadership, small groups, and custom itineraries perfected during more than 35 years of leading tours. We have a non-smoking policy. In 1975 during Doug Cheesemans' summer hiatus as a zoology and ecology college professor, he and naturalist wife, Gail, led their first expedition to the Pacific Ocean waters of Baja. Both had a contagious passion for nature and all living creatures, and they soon found themselves leading incredible safaris each summer to international destinations like Africa, South America, and beyond. 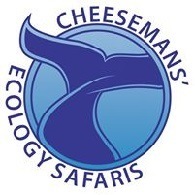 Doug and Gail wanted to share their unique experiences and enthusiasm for wildlife with others, so Cheesemans' Ecology Safaris was born in 1980 with a goal of providing a higher standard of wildlife travel. Tours were designed specifically to provide participants with maximum time in the field to experience nature and to inspire travelers with the values of conservation and education. Catching his parents' passion for wildlife, Ted Cheeseman joined Doug and Gail in leading international wildlife tours in 2000. As a boy, Ted grew-up with the business, often accompanying his parents on their international adventures. His contributions have been extensive as he combines his years of experience in the wild lands of the world and his graduate degree in conservation biology with his technical and computer savvy. We travel only to the richest wildlife areas whether the habitat be savanna, forest, reef, or ocean. Each of our tours is scheduled during the best time of year for viewing wildlife and is organized so participants can experience a variety of mammals, birds, reptiles, insects, and fish along with their unique behaviors. A focus on watching all wildlife and birds. Maximum time in the field. We often leave before breakfast and come back in the early evening, allowing us to travel further to experience more each day. The best opputunites for good photography. Being out in the field during the soft morning and evening light, and for the maximum amount of time, allows for fantastic photography. A non-smoking policy! All our trips are for non-smokers only. Small groups. On rainforest tours the total number of participants is 8 to 12. In africa, group size is 15 to 18 with two to three leaders. In antarctica, our smaller groups allow everyone to go ashore at the same time without concern for timed shifts. High leader/participant ratio. On all tours we hire local resident guides who are experts on the native birds and mammals to complement our very knowledgeable tour leaders. A tour that is customized for the best time of year to see the most wildlife. Itineraries are improved every year - we have no repetitious, tired itineraries. We pay attention to your feedback. Feel the pulse of the African bush during carefree mobile camping in Botswana. See how the rains shape the wildlife action in the Kalahari Desert. Experience the Okavango Delta at Moremi, a UNESCO World Heritage Site. Feel the roar of Victoria Falls, the world’s largest sheet of falling water. Explore predator rich areas to photograph Leopard in trees and resting Lion prides. Track and photograph a habituated Meerkat family.